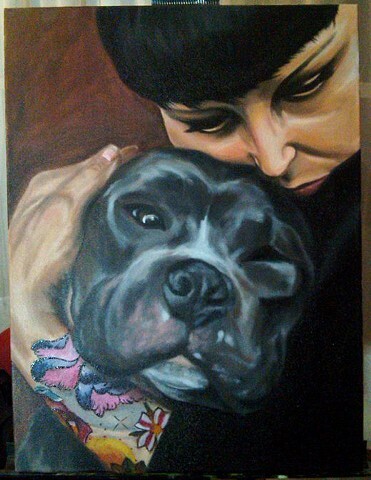 A Portrait of Michelle Zielinski and her dog Brad. Referenced from a photo taken by Derek on the day they rescued him. For Brad's story, and what he has been up too; check out Modifiedk9.org or head to Modified k9 on Facebook for more on Brad, and many other stories from their dog rescue years!